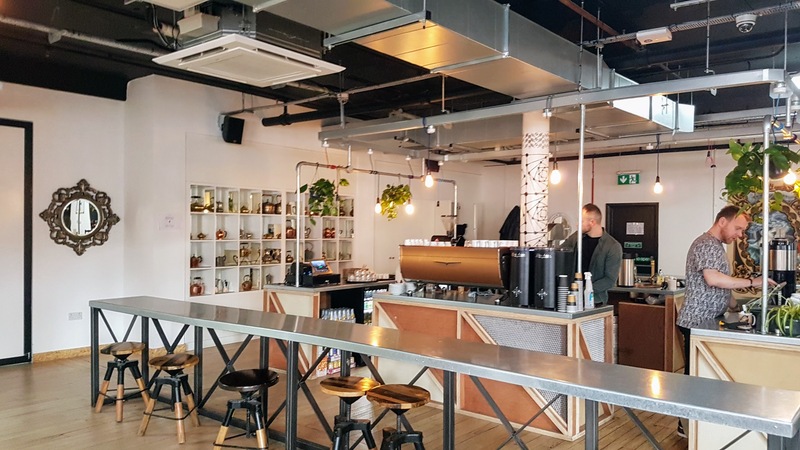 I get excited when I stumble across a new coffee shop in Manchester thanks to Instagram; aesthetically pleasing images of coffee/loose leaf tea/matcha lattes, food and a light open space all catch my eye. 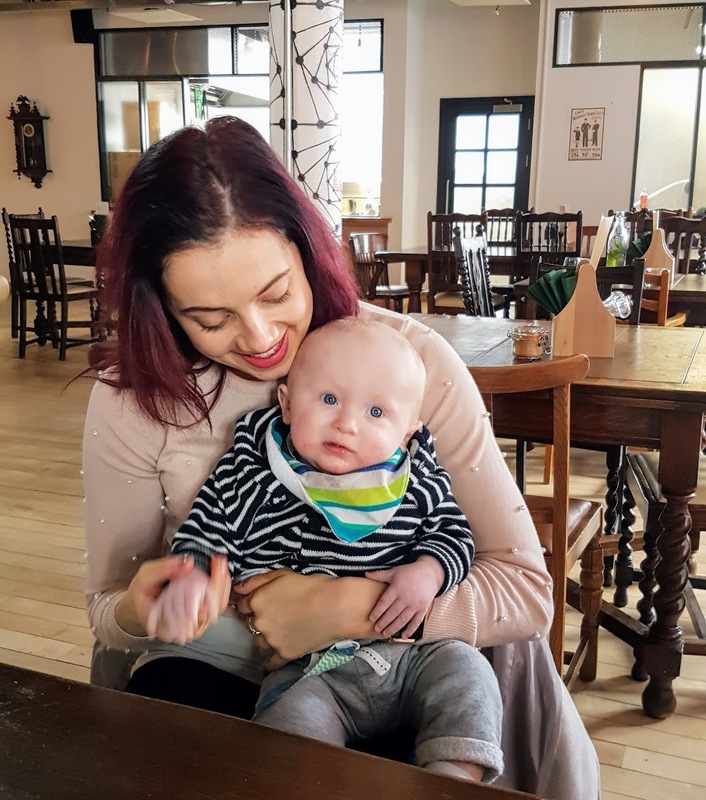 So when I spotted Pioneer’s posts which ticked all the boxes, it was a delight to be invited to check it out on a Monday lunchtime, accompanied by baby and fellow freelancer, Vicki. Just off the Northern Quarter right by Shudehill tram stop, we were a little confused about how to get into it (through an office building and up a lift) – although it was well signposted. We were later told that sadly the main doors had to be shut but there will be a more obvious and easily accessible entrance in the near future. 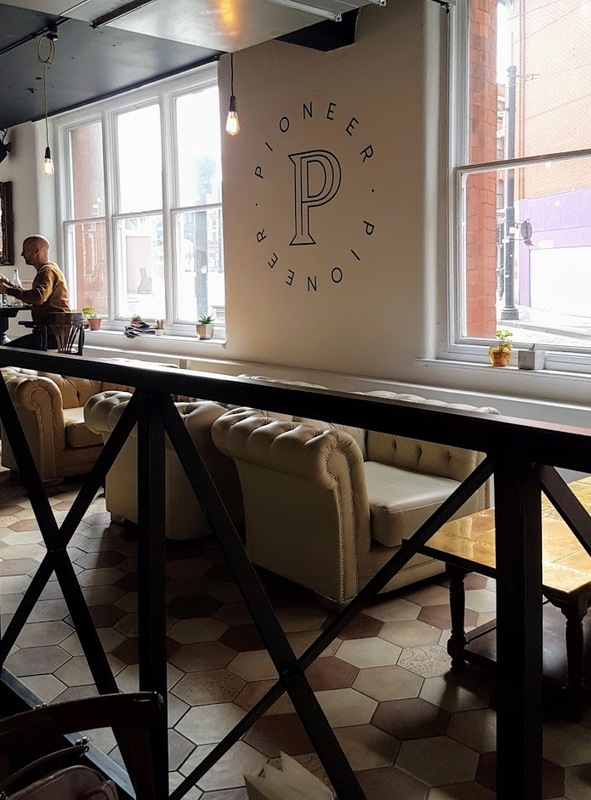 With plenty of natural light, cosy sofas as well as wooden tables and chairs for serious working, industrial lights balanced out with greenery and plants (always a winner in my eyes), Pioneer certainly has that Northern Quarter workspace vibe going on. 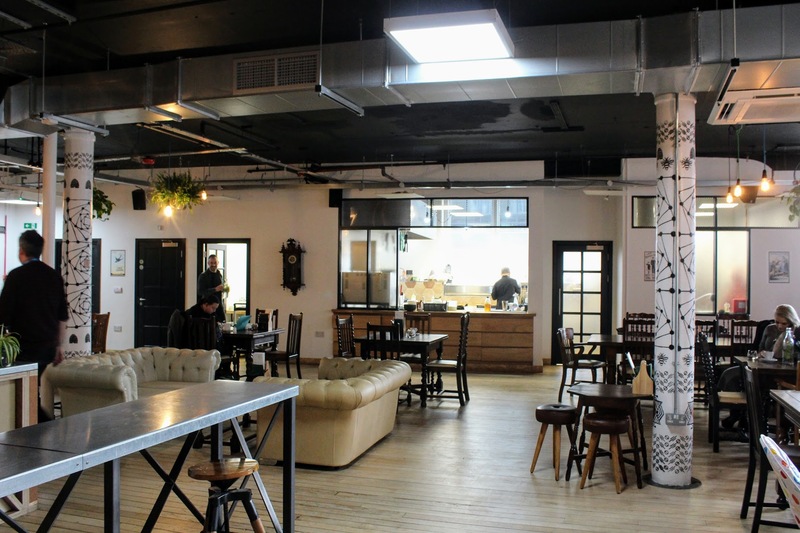 Also advertised as an event space (with a huge room next door), this place is relaxed and friendly – you could spend hours here cracking on with work or hold an informal meeting and not feel rushed. 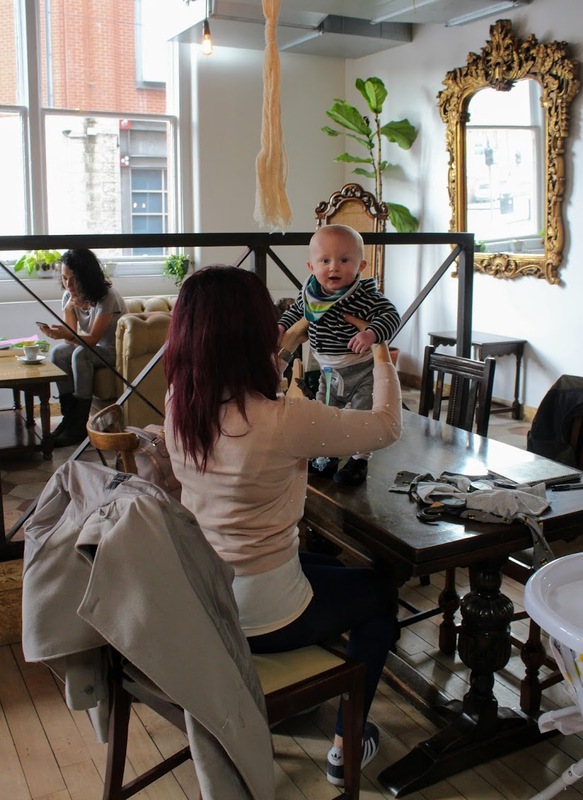 I liked that a comfy high chair was available for Tom to sit in so I could feed him his lunch while we drank our almond milk lattes; some places don’t have this option so in my eyes this was a massive thumbs up! Keen to try the food, there weren’t any specially gluten-free options but I was reassured we could be flexible in terms of taking what was on the menu and asking for alternatives or swaps. 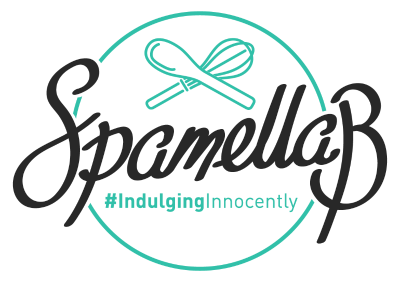 There will be a new menu coming soon, so it’ll be interesting to see how this will be catered for – vegans have plenty of choice so that’s always a good start. 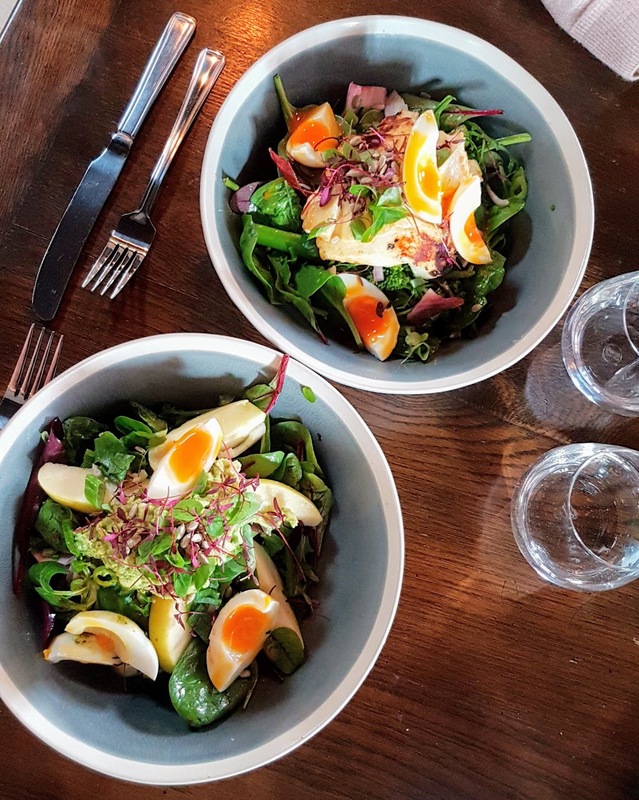 We both fancied the Power House Salad: Watercress, rocket, spinach, red chard, asparagus, apple, spring onion, sunflower seeds and soft boiled egg. 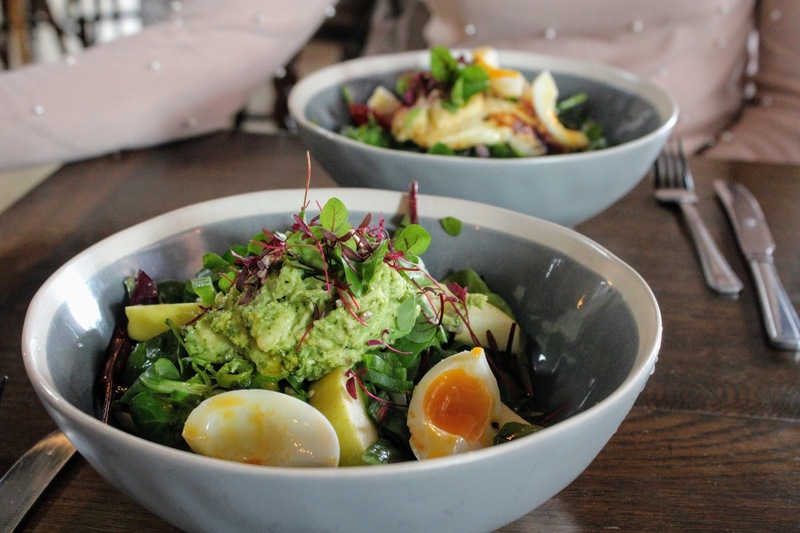 It usually comes with grilled sourdough but we asked without – I added avocado while Vicki asked for halloumi as an extra. Arriving in deep bowls, the portions were generous with good amounts of every element of the dish. 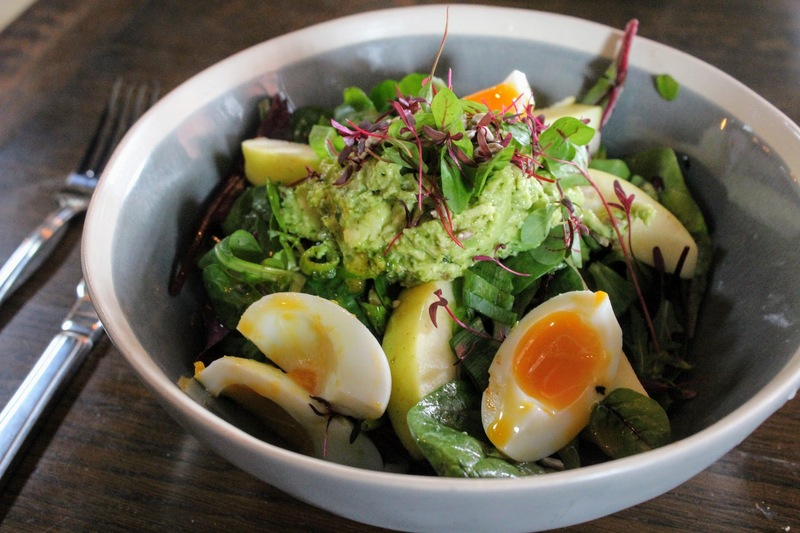 Simple but done well, the salad was delicious, satisfying and balanced – nothing to fault! I’m definitely going to return soon for another coffee/lunch date with a friend or meeting, it’s somewhere I feel comfortable to take Tom with me and an enjoyable space to be in. With friendly staff and chilled music, I’d recommend it to any other freelance or coffee shop lovers!